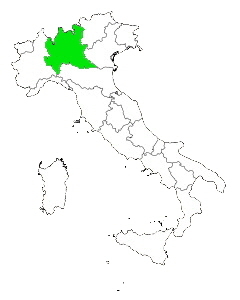 away from Milan, Sondrio in the north east, Brescia to the east and Pavia to the south. abundance of places for people to go for fine dining as well as a places to go to for just a snack. With the Alps covering about half of the northern part of the Lombardy region makes it a great place for outdoor activities of all kinds. Starting with summertime fun in the area of camping there are 71 great campsites in Lombardy 11 of which are on the shores of beautiful lake Como. Lake Como is one of the most picturesque mountain lakes in Italy with most areas of the lake nestled between two mountain sides. Not only are there many campsites around the lake but because of its size there are many towns and resorts along the lake as well. The way some of the towns are built on the mountain side as it gets close to the water you almost feel as if you were on the Amalfi coast. Whether you are camping or staying in a resort there are plenty of places to go hiking, mountain biking as well as road biking. If you are more of a water sport person lake Como is a great place to go power boating, skiing, and sailing.